A far away paradise locked in the uplands of Bali. Ubud is known for its craft works, art, and overall vibrant culture. Get lost in this magical place but be careful not to leave your food out or else the monkeys might steal it! You might have to reserve a whole day with the enormous Ubud Art Market to keep you occupied but if you find the time definitely visit the Sacred Monkey Forest Sanctuary to see the hoards of primates which live there. For the more adrenaline inclined, make your way to the heart racing giant swing which looms over the Ayung River. Of course, you will need someone to take care of the photos whilst you’re off enjoying the getaway but don’t worry – we have you covered. 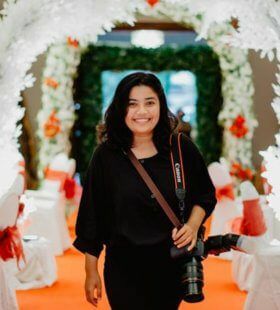 Professional photographers in Ubud whenever you need them.